There are two important features that you will come upon as you make your way to the entrance of the first pylon. 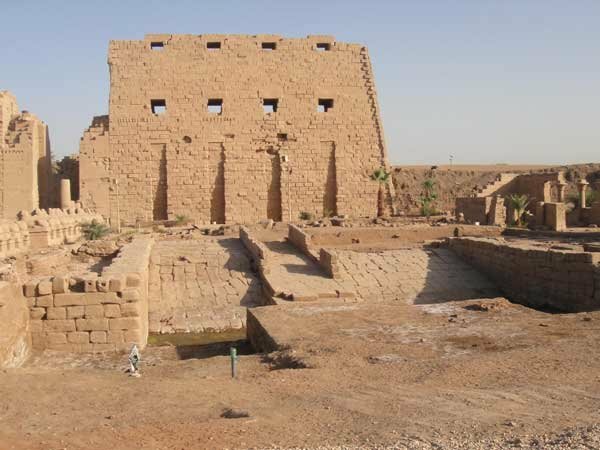 The first, is a stone wall and embankment which is believed to have held back the waters of the Nile. This new excavation has uncovered evidence that the Nile once ran right along side this pylon. This area is known as the Quay. Pictured on the right the Quay was discovered by accident during construction of a plaza between the temple and the visitors center 2008-2009 AD. The next discovery you will make heading into the temple is a dromos of ram-headed sphinx. 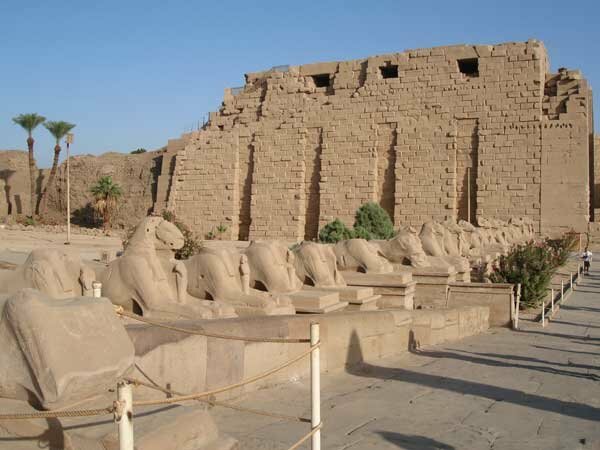 These were constructed by the craftsmen of Ramesses II. Each sphinx is a beautiful work of art. 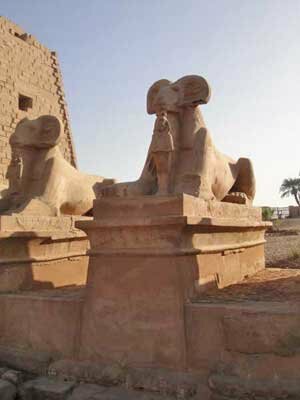 A small representation of Ramesses II is protected between the paws of each sphinx. The criosphinx is a symbol of the god Amen-Re. Click on an area of this map to visit.